In just ten years the Lyon property market has grown by at least 30% boosted by large-scale developments around the city. On average, apartments sell for 3,800 Euros/m2, some of the highest prices in the region but still way behind the crazy prices of Paris, Geneva and Milan. Compulsive buying is not really in the DNA of this ancient city of erstwhile Florentine bankers and silk merchants. Like the majority of large cities, Lyon’s city centre is the most desirable place to live. Nadine Di Petro, Head of the Parthena Conseil agency explains: “The new generation of forty-somethings want everything on hand i.e. as soon as they step out of their building. This has been a strong trend over the last two to three years in Greater Lyon. Even the prestigious Monts d’Or district has suffered due to this growing preference for city-centre living.” In terms of the luxury niche market, certain neighbourhoods stand out from the crowd: Presqu’île, Croix-Rousse, Lyon III Préfecture and certain parts of Vieux-Lyon. But the prize goes to the 6th district thanks to the nearby Tête d'Or park and access to the Foch Metro station, as well as its opulent buildings. This district boasts the most expensive property in the city as illustrated by this apartment in the Boulevard des Belges, which recently sold for 7,000 Euros/m2 (995,000 Euros/Avenir Investissement). On this boulevard, where the elite of Lyon choose to reside, a duplex penthouse can sell for as much as 11,000 to 12,000 Euros/m2. Livelier than this golden triangle, Les Brotteaux attracts a younger more urban crowd but the prices are still high. “We’re starting to see a new type of clientele, mainly from the Paris region. They’re often retirees who can afford to live in the most prestigious areas for half of what they would have to pay in Paris,” adds Yves Mettetal, head of sales at Primmo. These beautiful neighbourhoods are also attracting international executives looking for a luxury pied-à-terre of at least one hundred square metres.This sustained demand is pushing up prices. “In the 6th district, I haven’t seen an apartment priced at 3,800 Euros/m2 for a long time. Currently, prices are in the region of 5,000 to 7,500 Euros/m². Beyond that, it’s collective madness or international style estimates,” adds Marie-Pierre Andrillat (Majoux-Virieux). However, recent figures suggest that activity is beginning to level off slightly. “It’s getting harder to find enough properties to meet the demand,” admits Cécile de Jouffrey (Centralym). And the demand is still high for prestigious addresses and high-end properties.” So not much change on the horizon. In Presqu’île (2nd district), property prices are almost as high as in the 6th. In Place Bellecour, at number 31, the off-plan Ogic development is priced at between 10,000 and 12,000 Euros/m2. This development, one of the most noteworthy in Lyon, cleverly combines the old with the new converting buildings from the old catholic university. This type of development is a real epiphenomenon and the location is truly exceptional. A rare and highly sought-after old property: an apartment in an 18th-century Soufflot building (Jacques-Germain Soufflot was one of the architects responsible for the Hôtel-Dieu). The Rue Royale, close to the Mère Brazier restaurant, a 300-square-metre Soufflot apartment on sale for 1,580,000 Euros on the first floor above the mezzanine level. “In the past, this was the most desirable floor to live on,” explains Yves Mettetal, who was in charge of the sale. “In Lyon, buyers adore beautiful old buildings with plenty of character features such as mouldings, fireplaces and original parquet floors,” explains Aurelio Rossini, the manager of Arlim. "A renovation that erases all signs of the past, even if it’s outstanding, will not command the same price.” In Vieux-Lyon and Croix-Rousse, the demand for former silk-workers’ homes and silk workshops converted in lofts is very high. 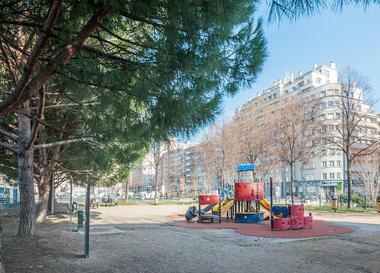 Less central areas are also popular such as the 7th district near to the Saxe-Gambetta Metro station. “Quiet, spacious and with two Metro lines, this neighbourhood is also close to Presqu’île. The young middle-class vibe is similar to that in Croix-Rousse. While there are some attractive homes, this is not true for the entire neighbourhood. Everything can change from one block to another,” explains Yves Mettetal, head of sales at the Primmo agency. The re-invented 8th district has a different style characterised by its former industrial past. In the Jet d’eau neighbourhood, built on the former Berliet site, a duplex penthouse recently sold for 5,600 Euros/m2. The luxurious apartment features a balcony and skylights, as well as panoramic views of the Fourvière hill. A recent development built in 2008. In a contemporary register, on the southern end of Presqu'île, La Confluence (2nd) is, in a way, a sector of the future. As in most new neighbourhoods, it takes time to reach full occupancy but a part of the area is already inhabited. In 2018, the first ‘Côté Rhône’ residents moved into the Ynfluence Square d’Icade building. Off-plan developments tend to sell for around 6,000 to 7,000 Euros/m2 with the exception of certain outstanding developments. This extension of the city "on the city" has enhanced the reputation of the Cours Charlemagne securing good average prices for the city. 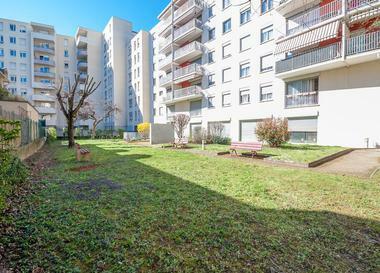 On the eastern outskirts, less expensive neighbourhoods such as Villeurbanne and Charpenne (around 2,800 Euros/m2) are ripe for investment. “If we can get a 3% to 4% return on a property investment in Lyon, we’re happy. As we move further out, we can expect returns of 5% to 7%. Although nothing as high as the 12% to 13% being obtained in Saint-Étienne just seventy kilometres away,” adds Angélique Grasso (Avenir Investissement). The western outskirts of Lyon are also promising but in a different way from ten or fifteen years ago. Buyers are now looking for smaller, easier-to-maintain properties. The properties are often unusual, such as this duplex in the old restored Lentilly château (780,000 Euros/Parthena Conseil). 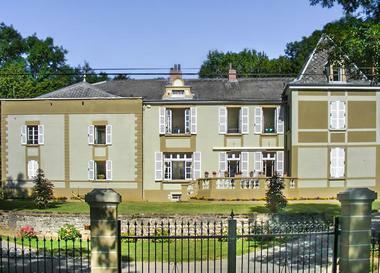 In the Monts d'Or, a renovated house (600 m2) was put on the market at 3.1 million. "It is the absolute maximum the owner can hope for,” explains Nadine Di Pietro. “In Lyon and the surrounding areas, the average price for a really prestigious residence is two million tops." A little further away, one hour by car, Ain is renowned for its diverse countryside including the hunting region of Dombes and the slightly mountainous Bugey and of course Bresse still has its reputation for great food. Or you could even venture as far as Beaujolais, if you fancy owning a winery. The offer mainly comprises farms and manor houses in Ain with more bourgeois-style properties in Beaujolais.Buyers are often on the lookout for large residences with outbuildings, stables and plenty of land. Depending on the condition, prices start at around 500,000 to 700,000 Euros in Ain, and between 800,000 and 900,000 Euros in Beaujolais. A basic property e.g. a restored old farmhouse (180 m2) on the edge of Drôme and Isère sells for around 350,000 Euros. In these outlying areas of Lyon, you will meet Lyonnais, as well as plenty of incomers from Paris, and in Ain folk from Geneva who get far more bang for their buck than in Switzerland. They are popular holiday home destinations.